I like . . . the sound of the birds right outside of my window in the morning. I like . . . the sound of my children giggling in another room. I like . . . the taste of freshly picked strawberries. 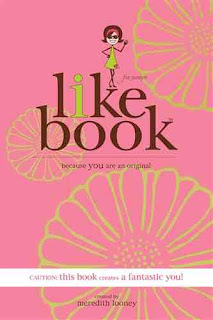 The I Like Book for Women takes its inspiration from the original The I Like Book, but focuses on women. When I was in graduate school, my mentor asked that I keep a journal chronicling my first teaching experiences. It was a pain to write every day, but many years later I still look back and read the journal. I have wanted to start a journal again for a long time, taking notes on raising my children, especially when they are young. The problem is, I never seem to find the time. That is what makes The I Like Book for Women so special. Imagine a "journal" that only takes a few seconds each day. Where you need to write down one short, brief line that reflects on your day. That is what I love about The I Like Book for Women so wonderful. You do not need hours to write in it, only a few seconds. You write, each day, what you like about your day, your life, or anything. I love to look back and remind myself of all of the things I have reflected on previously. It allows me to reflect on this time in my life, without a huge time or energy commitment. I still have a written reminder of all of the things that make me happy! There are also beautiful little "encouragements" throughout the book that will help you LOVE your life as you move through all of the things you "like". 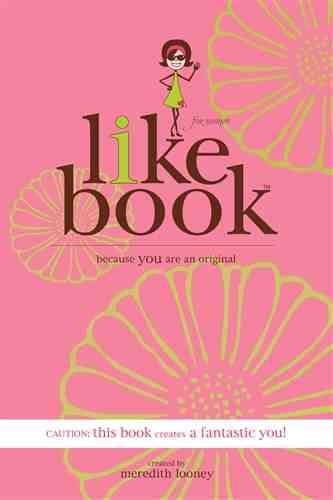 The I Like Book for Women is a truly special book that I hope you will like as much as I do! You can find all of The I Like products at: http://www.theilikebook.com/ Use coupon code: MamaBreak for 25% off of your order! I really do love the one I have for my children but I don't use it very often, I wonder if something like this would encourage me to think about the things I like about myself and then compare that to the things I write about the children - words of encouragement are a wonderful thing and the concept behind this book is a very useful one!